Did you ever want to add a specific content to all of your posts or pages? Yes? Me too! That’s why I’ve created the Content After Posts Plugin for WordPress. 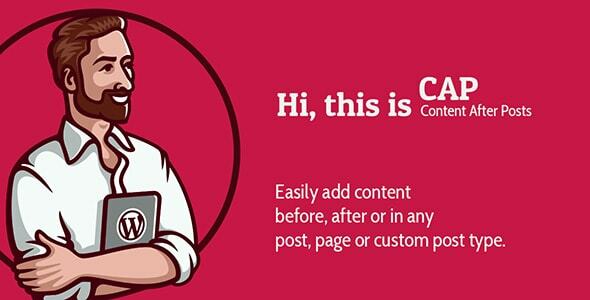 It allows you to add content after posts, pages or even custom post types. 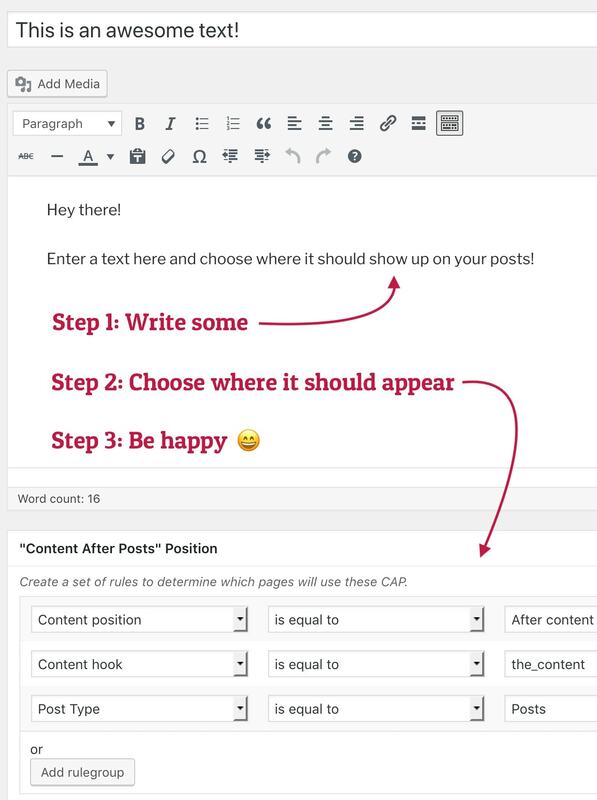 But even better: you can add content before the content and if you’re using the new block editor (Gutenberg) you can add content anywhere in your posts! 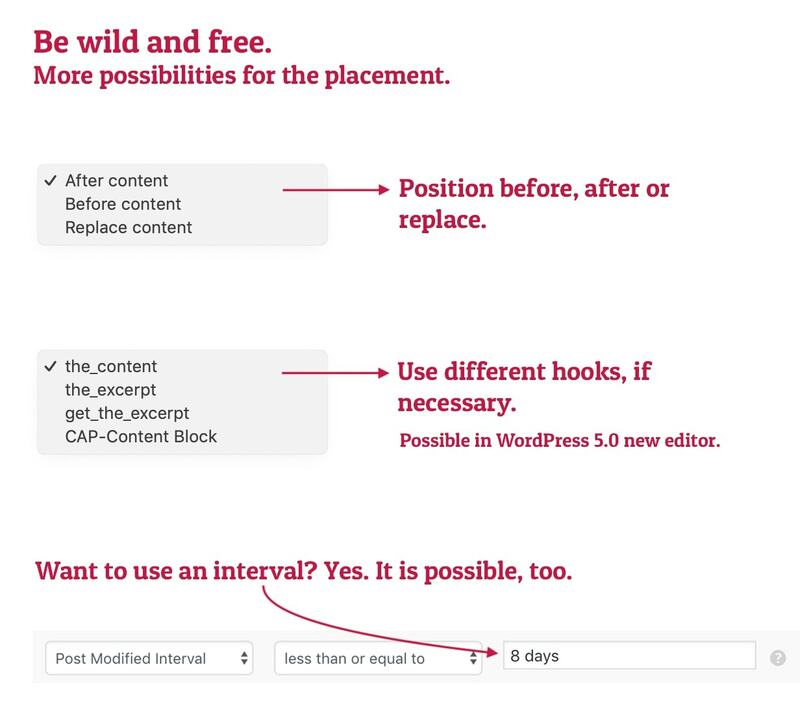 Because there are now placeholders available to you. 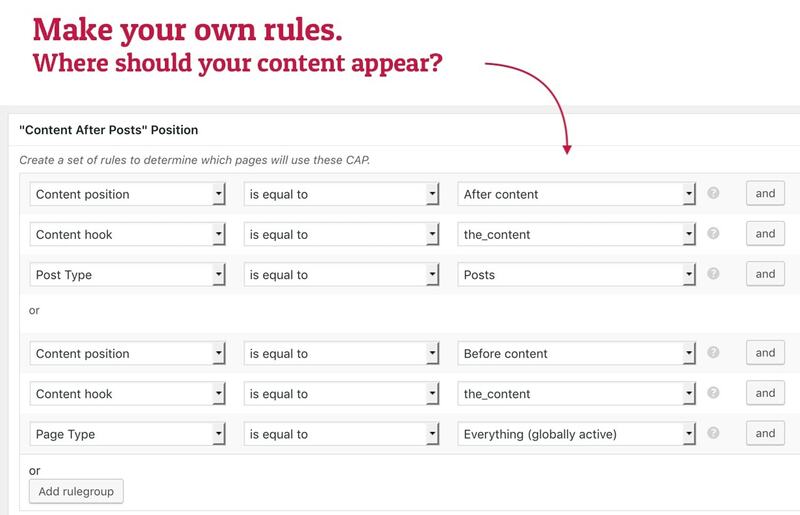 The plugin also allows you to control where exactly a specific content should appear. 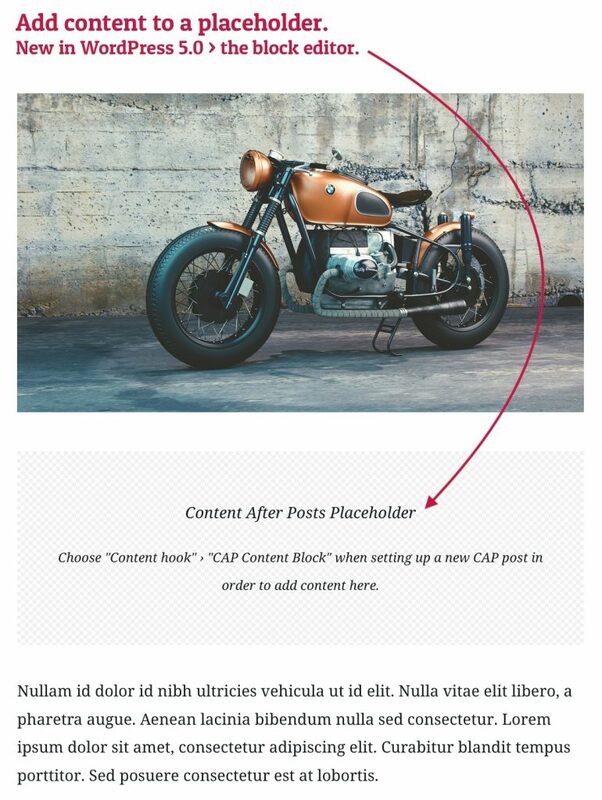 For example you can tell the plugin so show it only for posts in a specific category, or multiple categories. 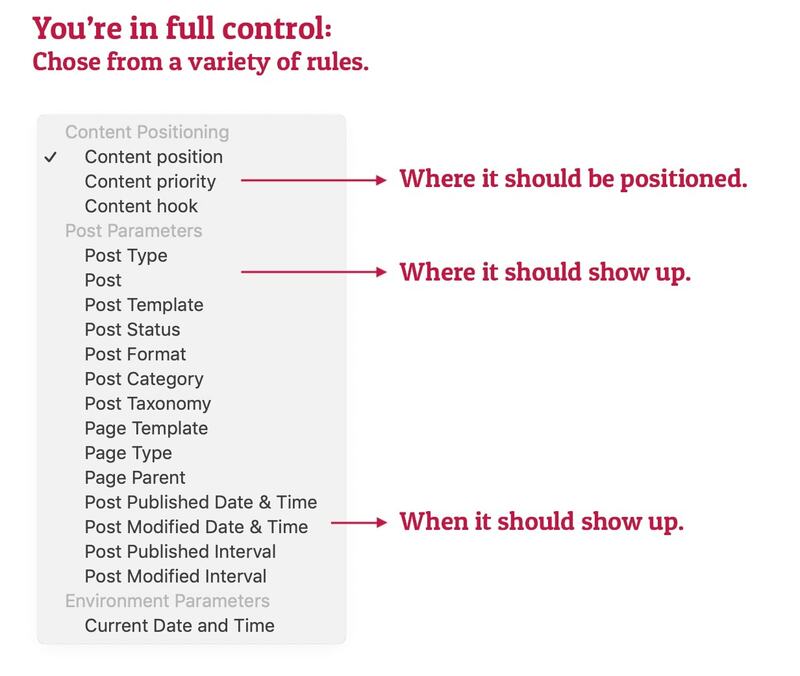 Define exactly where and when your content should appear and what position it should have within a post, page or custom post type. Note: this plugin cannot add CAPs (Content After Posts) into articles that are loaded dynamically via a third-party shortcode.